In October 2015 Issue of Russian Hunting Magazine. 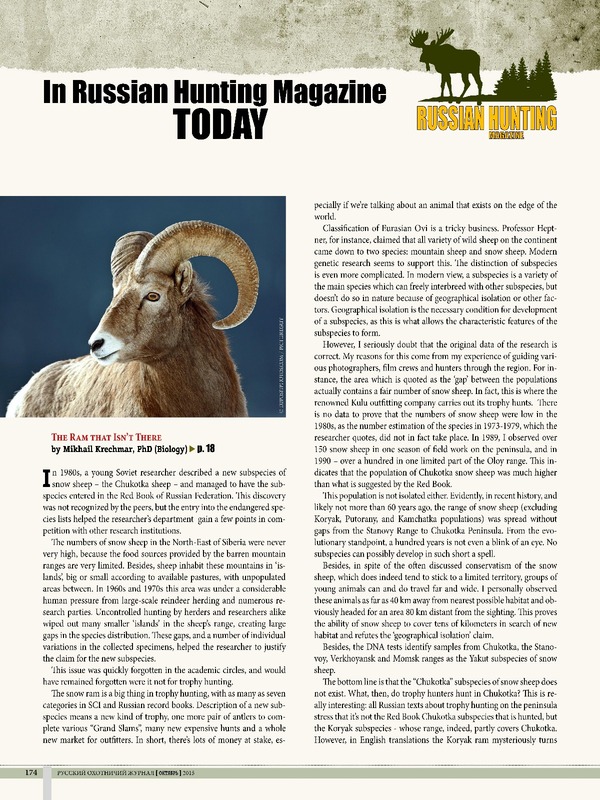 Each issue of Russian Hunting Magazine contains condensed English translations of selected articles. 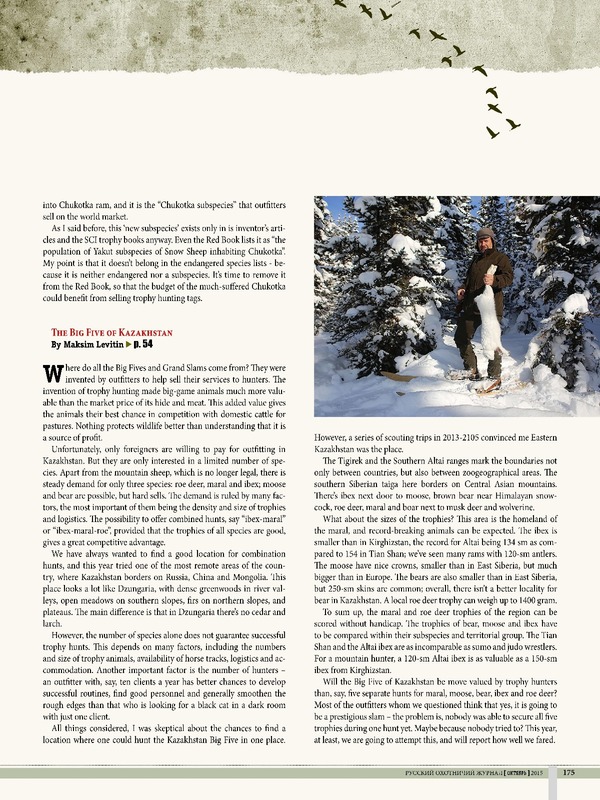 This month Mikhail Kretchmar takes on the “Chukotka subspecies” of mountain sheep. The sheep hunters who boast of this trophy might not like it when they learn that a) the research that supported identification of this subspecies has been refuted; b) what is supposed to be “Chukotka sheep” is listed as endangered; c) the rams that outfitters sell as “Chukotka ram” actually belong to another subspecies that is not considered endangered. In the other story Maksim Levitin describes a new region for trophy hunting in Kazakhstan, which can offer a slam of 5 trophies – bear, ibex, moose, maral and roe deer – in one hunt. A great new opportunity for trophy hunting – be the first who collected “The Grand Slam of Kazakhstan” in one go! No Russian hunter’s arsenal is complete without two dozen all-brass shells, oversized wad-cutter, a box of 1000 Berdan primers and a kilogram of black powder.